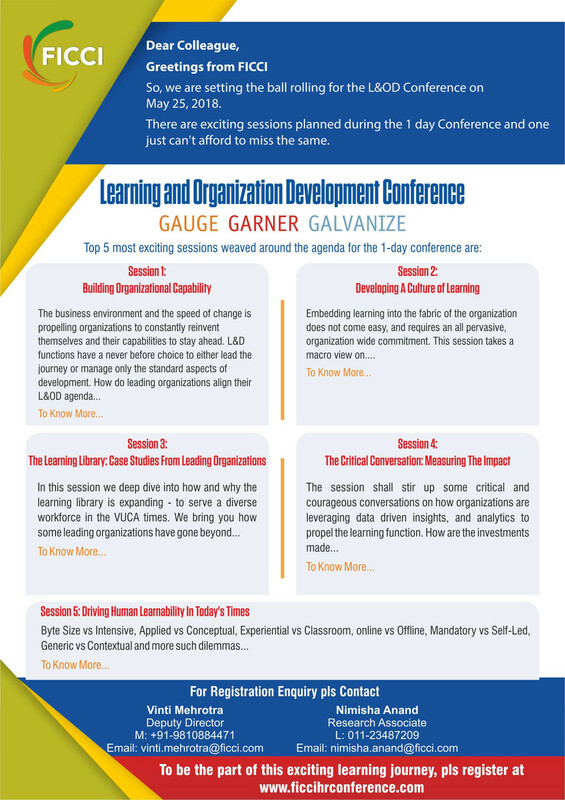 Federation of Indian Chamber of Commerce of Industry has chosen L&D Global as an event partner for their prestigious Learning and OD conference. We feature on their website. 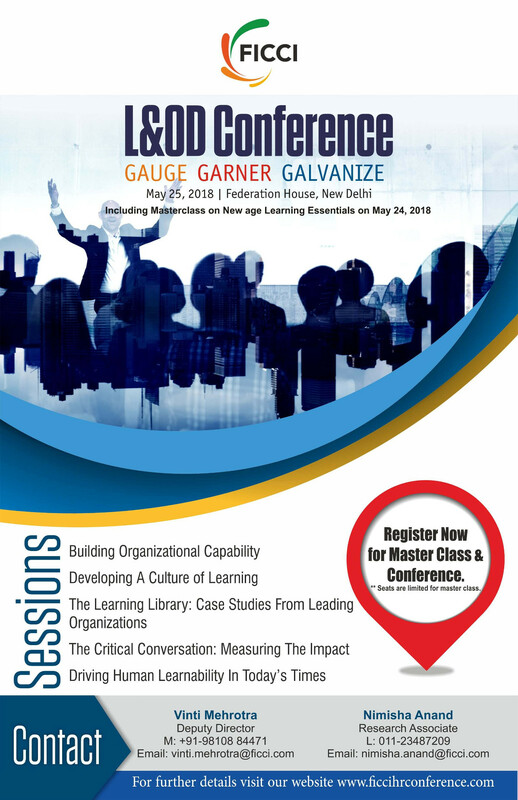 As part of the proposition they are extending 20 % discount to all L&D GLOBAL MEMBERS from all Chapters on the overall fee of INR 15,000 plus GST( Master Class and Conference on May 24& 25 respectively) for the FICCI L&D Event. In case if you are interested, do drop us an email on live@lndglobal.org mentioning your interest, and we will get you connected to them ASAP. Disclaimer: Logo used as authorized by FICCI, and is their property. L & D Global partners with them for this event. As a keynote speaker on Learning, I must say that learning from industry veteran is one of the most pertinent way of learning to manage the fast changing environment. FICCI is doing a great work on this by organizing such conference. And L&D Global as promotional partner would definitely be a great value add.